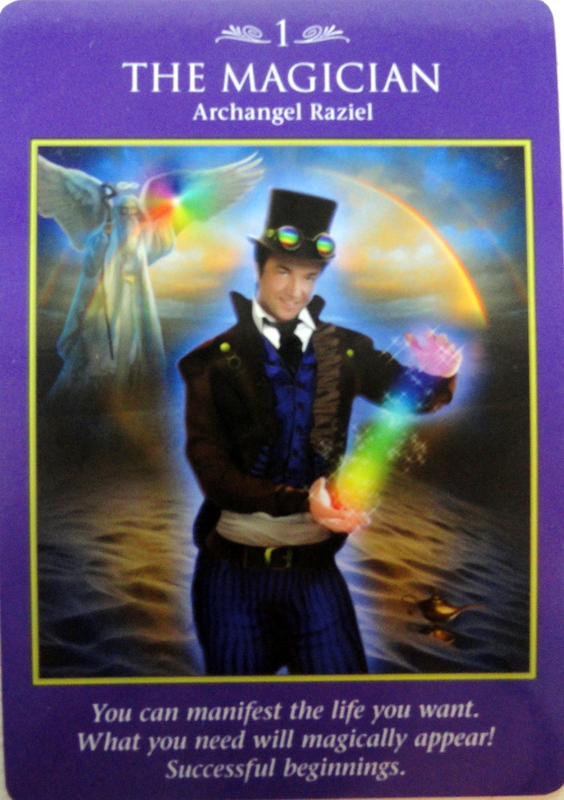 January 7, 2014 January 7, 2014 bcalvanocoachingLeave a Comment on Weekly Angel Oracle Card Reading for January 6 through 12. 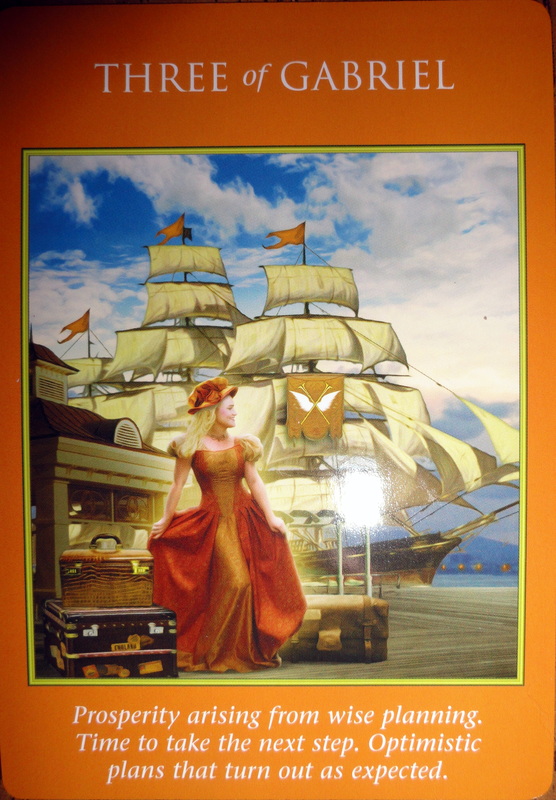 Weekly Angel Oracle Card Reading for January 6 through 12. 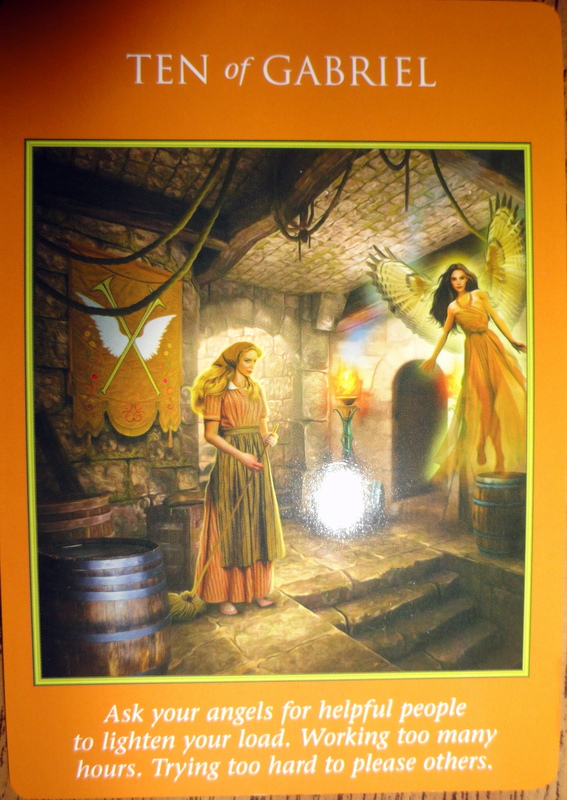 This week I am guided to use the Archangel Power Tarot Cards from Doreen Virtue and Radleigh Valentine. For Monday and Tuesday we have the Three of Gabriel. Prosperity arising from wise planning. Time to take the next step. Optimisitic plans that turn out as expected. The message is,”Your your ship is coming in!” You may not see it so be patient! Results, prosperity and progress will especially be apparent for those who have done the work in 2013 of beginning to or releasing that which no longer serves you with people, places, things, habits and toxic patterns. Here at the beginning of 2014 you will see glimpses of what’s to unfold in this coming year. It is a good time to set your intentions, goals and desires. Write them down! I highly recommend Robert Reeves affordable online class on ‘Setting Your Intentions for 2014’ and or check out Marie Forleo’s video with Danielle Laporte’s on ‘How to Set Goals with Soul’. Both will guide you in clarifying your goals, creating structures that works for you and how to stay empowered. It’s time to take the next step! Gabriel assists and supports creativity and our actions. For Wednesday and Thursday we have the Ten of Gabriel. Ask your angels for helpful people to lighten your load. Working too many hours. Trying too hard to please others. We are excited about making the projects in our lives happen and yet we are guided to remind ourselves about balance! We may be used to going at it alone and we’re asked to seek others for support and create great teamwork. It’s very important choose carefully who you ask and work with as you will avoid much stress and wasted time. The angels are reminding us that we are not here to suffer! That is truly an option! To create grace and ease in your life call upon the angels for anything and everything! When we work too many hours and our life is out of balance our health suffers. And that’s no fun! Release any thoughts of struggle and suffering to the angels today! Any past patterns about suffering or not ever being able to be really happy can be released! Also being a people pleaser or needed others approval will also be addressed. I recommend Doreen Virtue’s book ‘Assertiveness for Earth Angels – How to Be Loving Instead of “Too Nice”’. Great information about examining toxic behaviors, boundaries and more. The result is joy, freedom and more energy for our creative pursuits! A great card to follow the previous. By working on creating balance in our lives we are more apt to see and experience magic that is present and available! It’s the perfect time to start that which you truly desire! The angels are with you and will totally support you! You have everything you need though you may not see it. And you are prepared even though you may not believe so! Raziel is with you to guide you in manifesting the the life you dream of living! He is aware of all your divine wisdom and can assist you in creating an amazing and wondrous life! Spend some time this week writing out your intentions and creating a vision board for the New Year. You have angelic support to create passion and joy! Will you dare to dream big? Embrace your magic!